Passport to Dreams Old & New: Announcing: "Another Musical Souvenir of Walt Disney World"
Announcing: "Another Musical Souvenir of Walt Disney World"
Back in summer 2011, I came across a single file that would more or less determine my hobbies for the next three and a half years. It was a decent quality source copy of the original soundtrack to "If You Had Wings", long thought destroyed. I was enervated. I sat down and, using live recordings and videos of the attraction, worked up a "flow-through" of the ride, capturing the atmosphere and din of the attraction but using source recordings. When it was done I stretched back, relaxed, and thought: "now to do the rest of the park!". I laughed. But I did it. This hobby has sent me raiding record stores on both coasts, sticking microphones on sticks into highly suspicious places in theme parks, driving across states, begging and pleading, and constantly editing, re-editing, and re-editing. The release of A Musical Souvenir of Walt Disney World turned out to merely be the start of an even more concerted effort to create Part 2, but I'm pleased to say that after all of the crazy adventures I've had, the end is (almost) in sight. But this wasn't merely a v.2.0 of my first project, no, this turned into another thing entirely. It's Another Musical Souvenir of Walt Disney World. There's a story from the annals of film history that's been rolling through my head since somewhere around early 2012. The story goes that on the set of D.W. Griffith's "Intolerance", Griffith instructed his camera man Billy Bitzer that for a hugely complicated shot he wanted to crane down from a wide angle to an extreme closeup and - this was the rub - he wanted the entire set to be in focus the whole time. Bitzer replied that this was impossible. Griffith replied: "That's why we're going to do it." It's a mad quest to want to recreate a flowing audio tour of an entire theme park, but it's even crazier to want to recreate that park as it sounded thirty-five years ago. That was my goal. 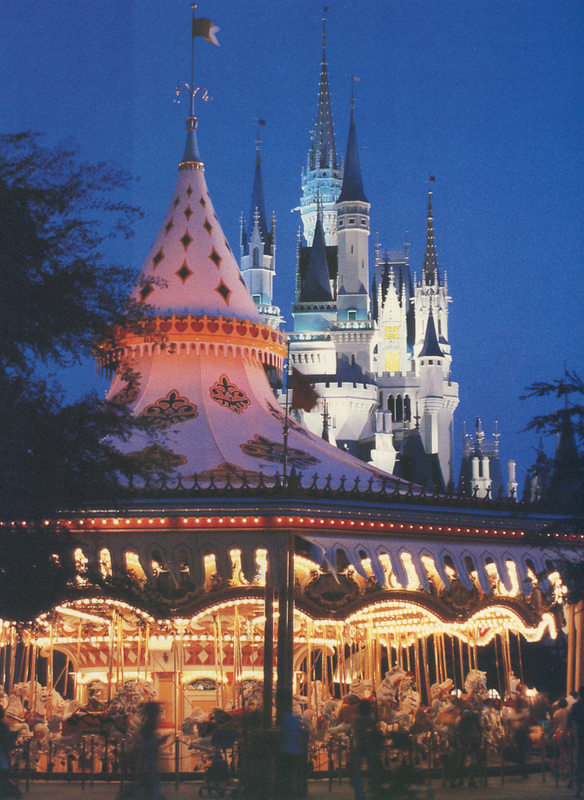 I wanted to rebuild, using testimony, memory, and research, the sound of the Magic Kingdom as it was well before I was even born. I wanted to hear music unheard since before Ronald Reagan was in office and sounds from attractions long long gone. I don't know if it's crazier that I tried to do it or successfully did it. And it's coming to you soon. It maybe doesn't look all that different than the original project, but it is. Nearly every track is significantly longer, more accurate, and presented in vastly upgraded quality. While the original Souvenir clocked in around 2 1/2 hours, the main body of this version is over 4 hours long - and there are 2 additional hours of "Bonus Tracks". Many things have changed, but many have stayed the same. Avid listeners of my previous version will notice many differences, but none so stark as the "Evening in the Vacation Kingdom", the crown jewel of the collection. This track finally realizes my original intention to recreate a full night spent in the Contemporary and Polynesian Village sipping cocktails in bars and lounges, hearing nearly forgotten resort area music, and enjoying vintage music acts of Walt Disney World's past. Other tracks have been fully rebuilt. Main Street, Frontierland, and Tomorrowland, in particular, are almost wholly new and much improved. You'll notice those "Bonus" tracks. They're intended to allow listeners to customize the experience seamlessly by replacing tracks in their playlist. Except for the Christmas tracks, each of the other Bonus tracks brings the main sequence of music tracks out of the late 70s and forward in time - bringing with them music tracks which will perhaps be more familiar to most listeners. In this way I was able to offer a wider selection of music without compromising the historical integrity of the main project. "Bonus" implies an item of secondary importance, but don't be fooled - my Bonus tracks here constitute some of my proudest work on the project. The highlight is definitely the 1983 Space Mountain soundtrack by George Wilkins of Horizons fame, which has finally been restored with all of its cues in the correct order. This will be the first time since 1993 that Wilkins' accomplishment here will be heard in full. It's all very exciting and I'm very excited to be sharing it with you. So please keep an eye out for Another Musical Souvenir of Walt Disney World - the next best thing to actually being there. Sounds fantastic! I'm really looking forward to it. 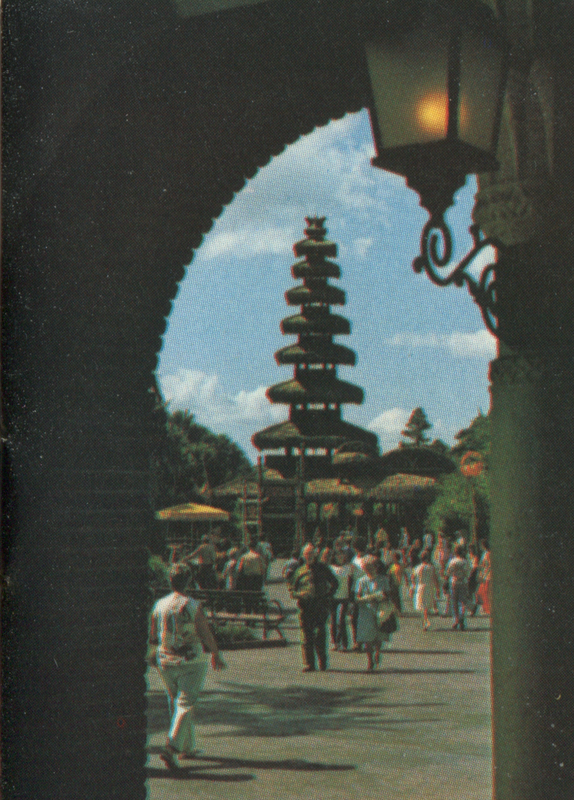 Will the Adventureland track include Tropical Serenade's "New Year's Eve in the orange groves" pre-show? How do I get you to take my money? You are so insanely awesome! I can't wait for this to be released. I can't wait; thanks for all of your hard work!!! Version 1 has become one of my favorite listens, and the new content sounds fantastic. Thanks for doing this. Thanks so much for your continued dedication and hard work. I can't wait! Wow. Absolute must have! Incredible and valuable work! Thank you for your efforts! Version one has been on regular rotation in my car since you gifted it to us. Can't wait for this next labor of love. This is amazing. Poetry should be written and stories of your awesomeness retold around the fire at Camp Wilderness. How do I download the first volume, put out in 2012? The zip links you provided no longer work. Thanks! Everything that's in the first volume may be found in the new version. However, it's available via Torrent on MouseBits.Com and it's also hosted in Archive.Org. everything found in the first version may also be found in the new one; however, if you wish it's still available via Torrent on MouseBits.Com and is also hosted on Archive.Org.